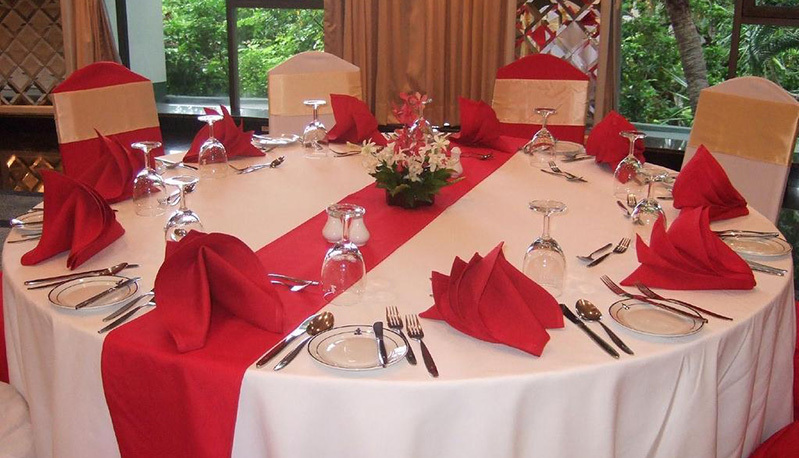 Linen Hire for those special occasions. 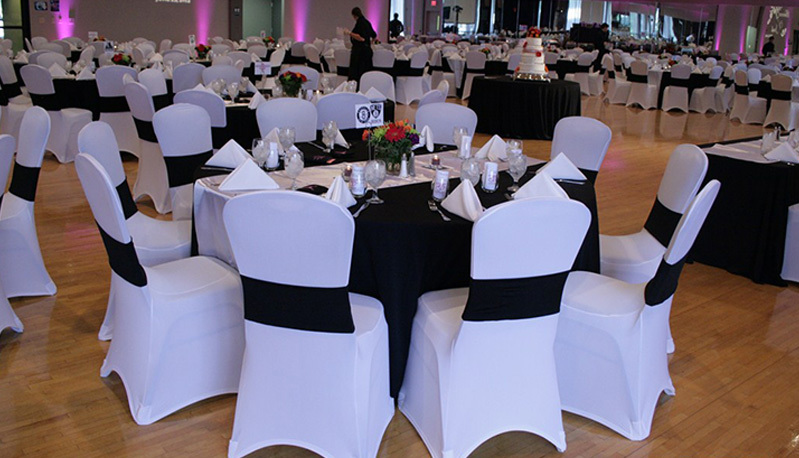 The advantage of hiring linen for a special occasion such as a wedding, anniversary or banquet is the guarantee of excellent quality every time. Our linen hire range includes crisp white draping covers for trestle or round tables, covers for chairs and poseur tables, napkins and a selection of lovely accessories to truly make the event your own. 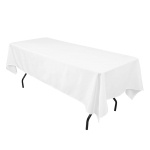 Our popular round table linen covers the table and drapes elegantly to the floor for a stylish and..
Our rectangular table linen is the perfect way to transform a functional plastic or wood trestle.. 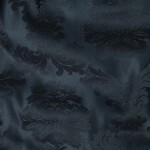 The striped effect of the regency linen is a great way to add contrast to your table at your event. 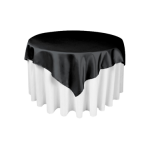 ..
With an elegant, detailed pattern and a thick, luxurious fabric, the bentley damask linen is a fine ..
Our tall aluminium poseur tables are ideal for indoor or outdoor events but cover them with a Lyc..
Table overlays are great when used with a neutral coloured linen on a round table. 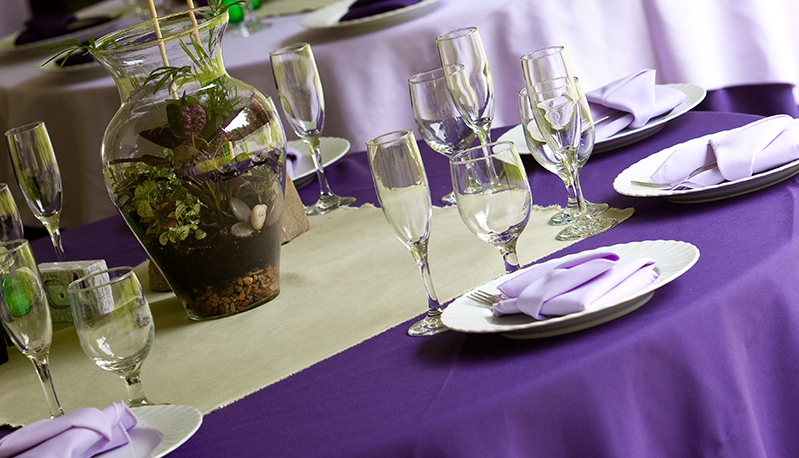 They are also a..
Table runners are a great way to add a contrasting colour into the colour scheme at your event. They.. Nothing speaks understated elegance more than a crisply laundered and spotless white napkin. Like..
Our linen comes in a variety of sizes to fit almost any dining style. 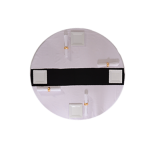 We can supply beautifully pressed table linen which elegantly drape over our 4ft, 6ft and 8ft trestle tables as well as our 4ft, 5ft, 5’6ft and 6ft round tables. The linen creates a dramatic effect, transforming an ordinary table into a lovely dining area and when complemented with crisp napkins, silky overlays or contemporary runners, it is the perfect look for a special occasion or wedding. Our linen comes in elegant white or a variety of classic and contemporary colours for a striking contrasting look. 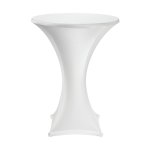 For a simple but extremely sophisticated style, our tall aluminium poseur tables can be covered with a purpose made stretch Lycra cover in cool elegant white or a classy black, instantly transforming the table and creating a stylish silhouette. 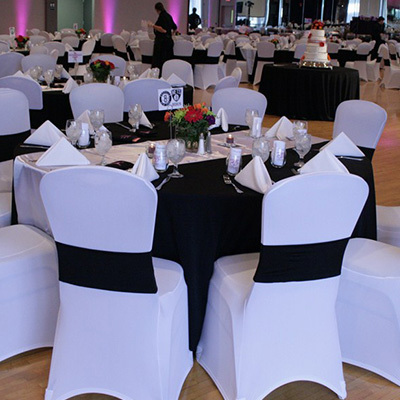 We also supply chair covers in the same silky Lycra which immediately changes our banquet chair into a clean fresh blank canvas; just add an organza sash for a splash of colour to match your event. To really make an event special, adding a personal touch can make all the difference, especially when you can transform a room simply with coloured table linen. Our beautiful and professionally laundered linen comes in many colours including delicate pale shades and striking vibrant tones. 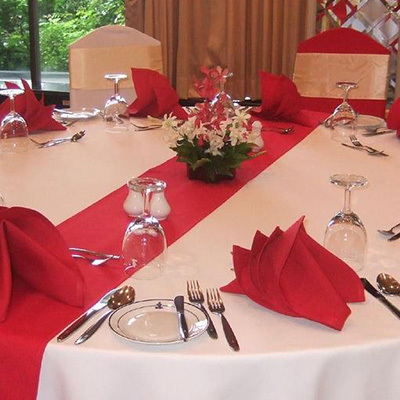 For a subtle dash of colour, a contrasting overlay or running can look dramatic over spotless white table linen. 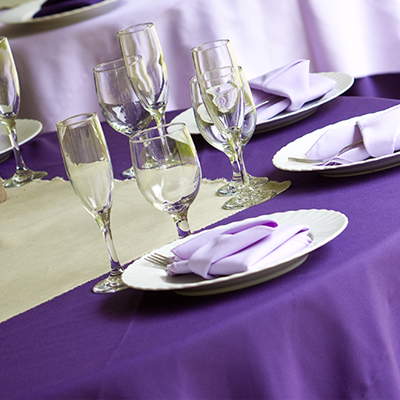 A large variety of coloured napkins are also available to hire for an understated hint at colour which can look fabulous against pure white table linen. We have a full colour palette available to view in our North London warehouse. It is a cost effective way to create a special atmosphere and we regularly supply linen to bars, restaurants and professional caterers. Left with no messy linen, costly cleaning bills or damaged items, it is an easy option for caterers and as we supply freshly laundered linen with no minimum order or compulsory table hire, we are the first choice for linen hire to the professionals. As furniture and catering hire specialists, we aim to provide the best quality linen, great customer service along with the Capital’s best prices. 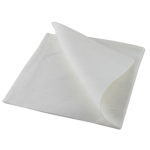 Hiring table linen, chair covers and linen accessories is surprisingly low cost with napkins starting at just 59p! 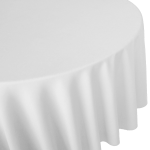 Table linen comes in many size options but starts at just £6.49 with overlays and runners at a very reasonable £3.49. We offer a full delivery service across London, the M25 corridor and the South East, 7 days a week. Hire Catering understand that weddings and special events don’t just happen Monday to Friday so we deliver every day, evenings and even on public holidays. Many customers choose our convenient self collect service available from our Crouch End warehouse which is also open every day including Bank Holidays. Your linen will be beautifully laundered, bagged and ready for immediate use; just add special guests! Call our friendly and experienced event advisors for details of the full linen range on 0203 141 7740 or to place an order. We are open 7 days a week from 8:30am - 5:30pm Monday to Friday and from 9am – 5pm at weekends and public holidays. Alternatively, email your order or queries to info@hirecatering.co.uk and a member of the sales team will get in touch.